Dominick Paoloni serves as the Portfolio Manager for the Fund. Mr. Paoloni is the Founder and Chief Investment Officer of IPS Strategic Capital which was established in 1993. He earned his undergraduate degree from the University of Colorado, Boulder. He has completed the College for Financial Planning’s CFP® certification program, and received his Certified Investment Management Analyst (CIMA®) degree through the Wharton School of Business. Click here to view the Fund Prospectus for the IPS Strategic Capital Absolute Return Fund (IPSAX). Click here to view the Statement of Additional Information (SAI) for the IPS Strategic Capital Absolute Return Fund (IPSAX). 2018 Semi-Annual Report for the IPS Strategic Capital Absolute Return Fund (IPSAX). 2018 Annual Report for the IPS Strategic Capital Absolute Return Fund (IPSAX). XBRL Files for the IPS Strategic Capital Absolute Return Fund (IPSAX). An investor should consider investment objectives, risk, charges and expenses carefully before investing. Click here to obtain a prospectus which contains this and other information, or call 877-244-6235. Read the prospectus carefully before investing. To open an account with the IPS Strategic Capital Absolute Return Fund you should contact a financial advisor at the financial institution of your choice. There is no minimum investment requirement for accounts opened through a financial advisor, although some financial intermediary firms may impose their own minimum investment requirements. For eligible investors seeking to open an account directly with the IPS Strategic Capital Absolute Return Fund, please download and carefully read the fund’s prospectus (click here) as well as the appropriate Account Application available by email request by clicking here. Applications must include your valid taxpayer identification number. You may also purchase IPS Strategic Capital Absolute Return Fund shares by wire transfer from your bank account to your fund account. To place a purchase by wire, please call 877-244.6235 for more information. 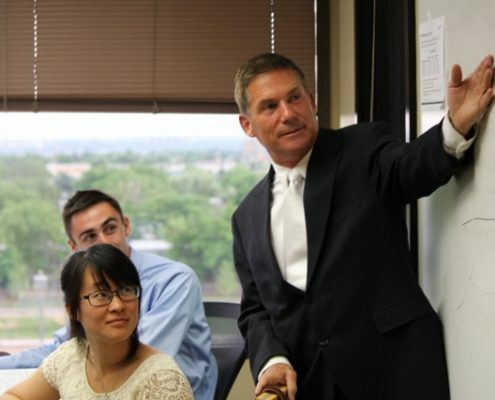 IPS Strategic Capital, Inc. (“IPS”), a Colorado corporation, serves as the investment adviser to the IPS Strategic Capital Absolute Return Fund (IPSAX). The Adviser is a registered investment adviser which offers investment advisory services to individuals including high net worth individuals and investment companies. 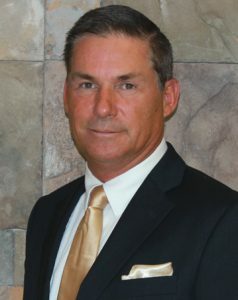 Dominick Paoloni, CIMA®, is the Founder and CIO. To learn more about IPS Strategic Capital, please click here to be directed to our firm’s website. Shares of the Fund are distributed by Matrix 360 Distributors, LLC, 4300 Shawnee Mission Parkway, Fairway, KS 66205.